'It is the most amazing thing in the world to-day.' A whole' piece of Europe is relapsing into primitive anarchy. While the Powers are ingeminating peace at the -Hague', a great country, at the other end of their estates, is falling back into utter and horrible barbarism. Over a territory of 44,000 square miles massacre has become a virtue and deeds of nameless ferocity a form of competing' patriotism. Secure in her mate rial comforts, Europe looks on placidly at the murder and torture of innocent peasants. 'The news from Macedonia grows worse every day. Favoured by Turkey, the Greek bands, splendidly financed and organised—often amounting to over S00 men— have bribed and massacred Macedonia into an, acquiescent Hellenism. In two years they have 'Hellenised' 120 villages by methods that have given terrible new meaning to an ancient word. The Macedonians, who have still clung to the Slav interest and faith, have either been killed, imprisoned, or have fled. There are some 300,000 Macedonian refugees in Bulgaria. Greece has won — if to do the work of Turkey can really be a lasting Victory for Greece. 'But now' that Bulgaria has been beaten back by this ' weird and unholy combination,: new forces have entered the field. In March last, the Turks made an arrangement with Servia by -which she should be allowed to send bands into Macedonia. 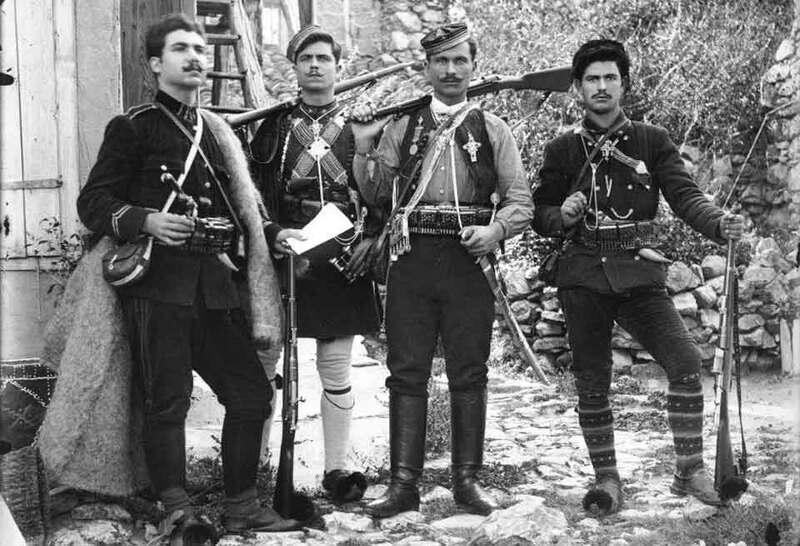 For weeks past Servian bands have been trickling across the , frontier, invading these- wretched, harassed villages of Macedonia, and crying to the villagers 'Call yourselves Servians or — — ' It is like an election into which a third candidate has'- entered,: unasked and unannounced. The disturbance is spreading over the whole Balkan area. It is not merely Greece and Bulgaria. ; that are wholly and, Servia that is partly' involved. Roumania is also being drawn in. She has also sent in bands, and is alleged to be about to send more under a compact with Greece. 'In these troubled waters the Sultan is serenely fishing, secure of his prey. What ever' happens, lie stands to gain. 'Tie quarrels of the Infidels open out to him vistas of hope — not merely hope of retaining Macedonia, but possibly of weakening the whole power of Christianity in the Near East. Russia is paralysed by revolution. Austria has her home troubles, and wishes only that the fruit may remain ripe for her picking when she has leisure. England is far off and he now knows the value of her anathemas. Whatever happens plays into the hands of Abdul Hamid. His astute diplomatists pass from capital to capital— from Athens to Belgrade and Belgrade to Rustchuk - stirring up mutual strife and envy, playing upon the nervs of hot-headed, anxious men, offering them prospects that will never be fulfilled. If it all works to his purposes— it all diminishes the Christians in the world. He had to kill, his Armenians himself. Not in his wildest dreams could the Sultan have ever possibly hoped for such an easy vicarious method for the killing of his Macedonians. 'Such is tho fate of one of the fairest provinces of Europe, while the diplomatists stand aside and smile their sinister Bism.arckian smiie. That smile does not always last. You may laugh when your neighbour's house is on fire, even if it be only a hovel ; but what if' the wind rises and the flames spread to vou '? What if v0ufire also part landlord of the property ? This is not a mere out-of-the-way corner of Europe. It is a country of three and a half millions of people, covering ' 4.4,000 sfiuaro miles. It' impinges on The great Mediterranean highway. It has an ancient and glorious history. It might become, under good rule, one of the fairest gardens of Europe. Tt would have become so by now if England had not .stepped in, in 1878, and by vetoing the Treatv of San Stofano, handed Macedonia , back .-'..to Turkey. We handed Macedonia back ; but we handed her back under conditions of . good government, which have never been carried ^ out.